New opportunities for advertisers and advertising specialists appear along with the growing activity of users in the field of blogging, visiting of social networks, viewing multimedia content etc. No doubt the growth rate of retail Internet commerce will increase because the significant part of the Internet users makes ​​online purchases. That is why online advertising is becoming more effective marketing tool which is ahead of the traditional leaders of the advertising market such as television, newspapers and radio. Got tired of low conversions? – JPG-banners are static images, which have lost their popularity recently. – GIF-banners are animation blocks. They usually consist of 3-5 static images that are shown in turn. Compared to the JPG-banner, they are more informative, dynamic and better perceived by the users. – Rich-media are interactive Flash, Java and CGI-banners. Despite their relatively small size, they contain rather complex animation plot lines. – Pixel banners. These are static or animated images that are hand-drawn by the designer pixel-by-pixel that is to the smallest points or elements. The weight of such banners is minimal, even with the addition of animation effects. They are usually expensive and labour- consuming in manufacture. Banner advertising can attract the attention of the interested users to a Web resource, to acquaint the audience with a new brand, product or service, action or special offer, to invite to the training or master-class, to promote memorization and trade mark recognition, to strengthen and improve the reputation of the company’s image. It is actually necessary for rapid advancement of new products to the market. The process of managing banner advertising campaign is simple. The setting can be made by using simple operations; the required time of the action can be set; one can evaluate the effect obtained by using statistical data at any time etc. Modern technologies of the banner advertising allocation allow carrying out geographic, thematic, demographic, temporal, linguistic and other targeted advertising, which greatly facilitates an effective banner policy. It is easy to place the banner in the network. The most common methods are the mutual exchange of banners between different websites, as well as paid placement on partner sites in banner networks and context-media network Google AdWords. The main advantage of graphic advertisements is their low competition. The banner is always visible and it attracts worldwide attention, while text advertisements are always in the fight for higher places in the search, and the chance to see them is much lower. Versatility. Banners are acceptable for both large businesses and for advertising campaigns with a minimum budget as they provide an opportunity to choose an appropriate model of payment either per thousand displays (CPM) or per click on an advertisement notice (CPC), to limit the budget and the schedule of shows, depending on the market purposes. The low cost of their allocation, compared with the rotation in the banner networks and sites. 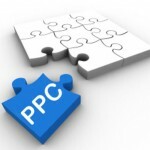 It decreases if the level of clickability (CTR) of each advertisement increases. For banner advertising the sufficient value of CTR in the index of 0.2 – 2%. Neither the size nor the desired position on the page influence the payment for banner allocation in the context-media networks. Target shows. It is easy to find relevant sites and placements in order to attract the audience, which a priori is a potential customer or partner of the advertiser using powerful tools for AdWords. The lack of advertising space. Due to a small size the banner cannot be used as a full value advertising platform. The lack of the sites’ subject. The sites of the required subjects are either not always available in sufficient quantities or absent for large-scale advertising campaign in the network. The negative psychological impact on the website visitors. It is connected with the illiterate design of the banner itself and untested intrusive advertising activities. 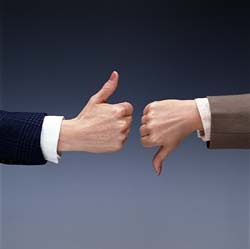 They simply irritate potential consumers of goods and services, and they do not have positive emotions. In particular, it relates to automatic banners, which make the transition to the advertising site when you hover the mouse on them. They are forbidden to show in the number of advertising platforms, including Google partner sites. That’s why the emphasis should be put on the quality of banners in terms of perception of their users when a truly professional advertising campaign runs in the complex work of advertisers, marketers, designers and developers. To run a successful media, in particular, a banner advertising campaign, first of all, it should be paid attention to its planning. A clear set of goals and objectives, a thorough study of the target audience, a careful application of technological innovations which are based on their positive and negative aspects. In general, well-designed advertising activities on the Internet are more likely to win both advertising consumers and the advertisers themselves. The success indicator of the carefully planned advertising campaign will be the ROI (return on investment). It is used both to campaigns aimed at active sales and services and to strategies aimed at improving the image and branding. In the first case the banners with information about discounts and special offers will work the best and bright advertising formats provide an effective visual contact with the visitors. If one of the main indicators of effectiveness is the number of hits (clicks) on the notice for the search context advertising, then the number of shows to the interested audience is more important for the banners. This fact partly explains their low CTR. When the code conversion tracking AdWords is installed on the website, a special tool View-through Conversion (Conversion by shows) will count the so-called “transparent” conversion. It will take into account the number of users who saw the banner and made the target transition to the advertiser’s site from any source during the month after its viewing. The effectiveness of banner advertising can be tracked well with the help of Google Analytics. To do this, before starting the context-media campaign, you need a special way to mark the URL of each banner, so that in Google Analytics reports to track all the necessary statistical data on this or that advertisement. Here is an example URL with the tag:http://www.example.com/?utm_source=google&utm_medium=cpc&utm_campaign=GoogleBannerExample&utm_content=468×60, where utm source = is a source from which a visitor entered the site, utm medium = is a way to drive traffic, in this case it is a contextual advertising, utm_campaign = -is the name of the campaign, utm content = is a notice identifier . URL with utm-label can be created with the link designer or manually. 1) Contextual targeting. Sites where the banners will be placed are automatically selected according to a suitable context based on specific combinations of keywords that describe the subject of an advertising campaign. Keywords must be relevant in the campaign, but at the same time more common too. They mustn’t be so narrowly grouped, as in the search campaigns. This tactic ensures maximum coverage and the cheapest clicks, but there is a risk to get a large volume of non-target traffic, sometimes it is difficult to cut off low-quality places. 2) Targeting on allocation places set manually. It should be selected a big list of the websites on the required subjects to configure it; their effectiveness should be tested; the rates must be adjusted, and then remove the rest which yield few clicks and shows by analogy with the keywords in the search campaigns. Popular social network sites, such as Facebook can be used as the placement of graphic advertisement allocation. Targeting of the banners on the social network provide a low cost of conversion at sufficiently high returns, because they are not perceived so negatively there. Sometimes, even as the friendly advice, they are remembered well and they contribute to recognition of the familiar logo in everyday life. 3) The allocation of banners on the video channel YouTube. The display of banners on YouTube is made directly in the video content, on top of it or next to the YouTube window play. The overlays advertisements InVideo are also applied which appear within the streaming video on YouTube at the bottom of the player window, and they occupy 20% of its area. When you play each video only one advertisement appears. There are two types of graphic overlays: a static image and an interactive Flash-pad. The user can go to the advertising site at any moment, clicking on the banner or closing it. The allocation of the banners on YouTube may lead to more than 400 million graphic advertisement shows. 4) Remarketing is the so-called “smart advertising.” It shows graphic advertisements to the users who have already visited the given site, or even ordered the advertised service or product, according to information gained by using the remarketing AdWords installed code on it. To optimize the campaigns that are configured for remarketing, the rates and the lists of places where the banners are shown should be adjusted; to experiment with audiences and to analyze which ones produce the greatest response. Such tactic makes it possible to increase the effectiveness of the advertising campaign and to reduce its budget significantly. 5) Targeting on “Themes.” If the business is focused on a specific target group, it is desirable to influence it directly, as it will lead to the high effectiveness of displays. By using the function “Themes” one can “target” on the total group and even subgroup of sites on the required subjects such as Art and Humor, Travel and Tourist Agencies, Computers & Software, Family and Society, Transport and Brands auto, Health and Medical literature etc. 6) The interest categories. They allow you to “target” on the user, according to the information available on his (her) search requests, the “interests” that are grouped into categories, which are stored in cookies of the user’s browser over the past 28 days. You can see your advertisement preferences through the link: http://www.google.com/ads/preferences/. The combined use of the context-media AdWords network functions, “targeting” tools and remarketing is a pledge of confidence in the fact that advertising messages will be delivered to those whom they are intended for. – The banners which are smaller in size and quick get more clicks than large-scale, rich multimedia effects and flashing buttons. – The use of animation can also be productive. According to the experts, the animation must be horizontal, as the human eye mark the horizontal movement more naturally, so the emphasis should be done on it. – You should avoid large amounts of contrasting and annoying colours, drawings and photos in the design of the banner. – The information content of the banner should be concise, understandable and believable and the slogan should be memorable. – The slogan for action, the information about the bonus, the discount or gift in the fulfillment of the target behavior of the visitor can also lead to the desired result. – In the course of the marketing studies have been proved that on average, the user needs to be shown the same banner 4-7 times before he (she) will be “riped” for the purchase or any other target actions. Therefore, it is recommended to limit the display of any banner up to 5-7 times per group in the settings of the advertising campaign. – The banners should be tested and updated periodically making the necessary changes in order not to bother the Internet audience. Unsystematic allocation of diverse banners on one site is a kind of “cluttering” of its space. It can lead to scaring away the visitors instead of the expected returns. The most popular sizes of the banners are 200×200, 250×250, 300×250, 336h280, 468×60, 728×90. Each of them can attract large amounts of target traffic to your site. It can get a lot of shows and clicks. So, it is recommended to use both the 4-6 banner sizes to achieve the most effective advertising campaign. In the terms of the continuous improvement of various tools which are necessary for planning, realization and analyzing of the advertising campaign, the advertiser often collides with the dilemma: what kind of advertising to give preference. In most cases, a combination of search and contextual media campaigns for promoting the same product category or brand gives excellent results. Search contextual advertising helps to attract the interested audience to the site and the banner one works on the image. The latter is technically simple and highly visual solution at the same time. It has no equals among other advertising formats in the speed and the scale of influence. But, we should not forget about the constant monitoring and strengthening of brand advertiser’s positions, increasing the supply, the analysis of the relationship between the display of the banners and subsequent conversions of both from the context media and the search networks. Excellent article with lots of informative points especially for the banner advertiser as well as the printer. There is a lot of useful points in your blog post from which beginners can get some valuable idea for his understanding and to improve a banner design. More resources are available for your visitors in http://banner-guru.com . PPC can help you generate x4 more.